This was not the end of the battle. In a Jan. 25, 2018 notice, AMS (again) acknowledged the extensive debate over hydroponic, aquaponic, and aeroponic operations since its last assessment hearing, but noted that since the origins of the NOB, hydroponic operations had been eligible for certification. AMS declared that such operations would continue to be eligible for certification unless and until AMS issues final regulations to the contrary. Opponents to organic hydroponic certification are attempting to force AMS to ban hydroponic growers from organic certification, and pushing for regulations to enact the ban. On January 16, 2019, the Center for Food Safety (CFS, endorsed by The Cornucopia Institute, Food & Water Watch, Cultivate Oregon, Maine Organic Farmers and Gardeners Association, Maine Organic Farmers and Gardeners, Association Certification Service, Northwest Organic Dairy Producers Alliance, Organic Farmers Association and several others) submitted a petition to AMS requesting that AMS issue regulations excluding hydroponic agricultural production from organic certification, consistent with the 2010 NOSB recommendation and report. 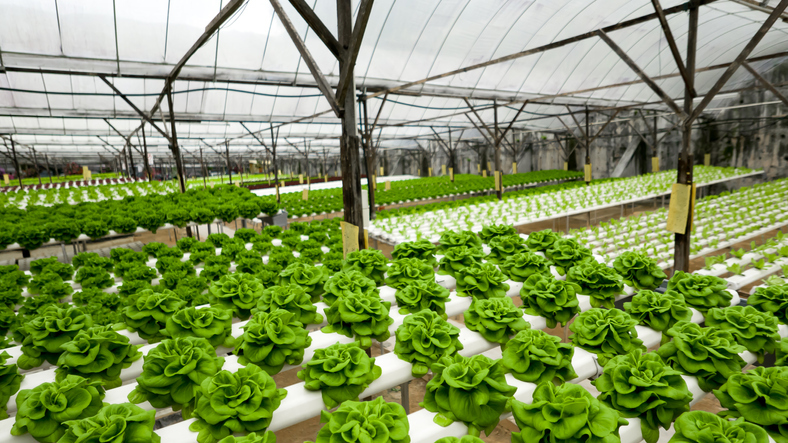 Specifically, CFS asks AMS to amend 7 CFR § 205.105 to prohibit hydroponic systems and to revoke organic certification for currently certified hydroponic operations. CFS points to legislative history, the statute and the regulations to support its Petition. It also references inconsistency among organic certifiers. Some certifying agents do not certify hydroponic operations whereas others do (According to CFS, there are currently 41 USDA certified organic hydroponic operations). CFS also points to the prohibition of organic certification of hydroponic operations in other countries. The battle stems from the premium placed on organic produce in the marketplace. According to Modern Farmer, the organic label is worth about $40 billion a year, and an organic farmer can charge twice as much for the same item as a conventional farmer, stemming from the high cost of certification. Proponents of the hydroponic organic certification say that their farms can be more energy- and water-efficient than soil-based farms, that they can reduce transportation costs by being built basically anywhere and that they can be just as sustainable and eco-friendly as any traditional farm. Organic soil-based farms are threatened by the corporate involvement in most hydroponic operations, and fear for their land and product values. At the most recent NOSB meeting, the group determined that they will need more data before making a final decision. For now, hyroponic organic produce remains certifiable, even if future legal battles will continue to wage over their permanent status in the US marketplace.